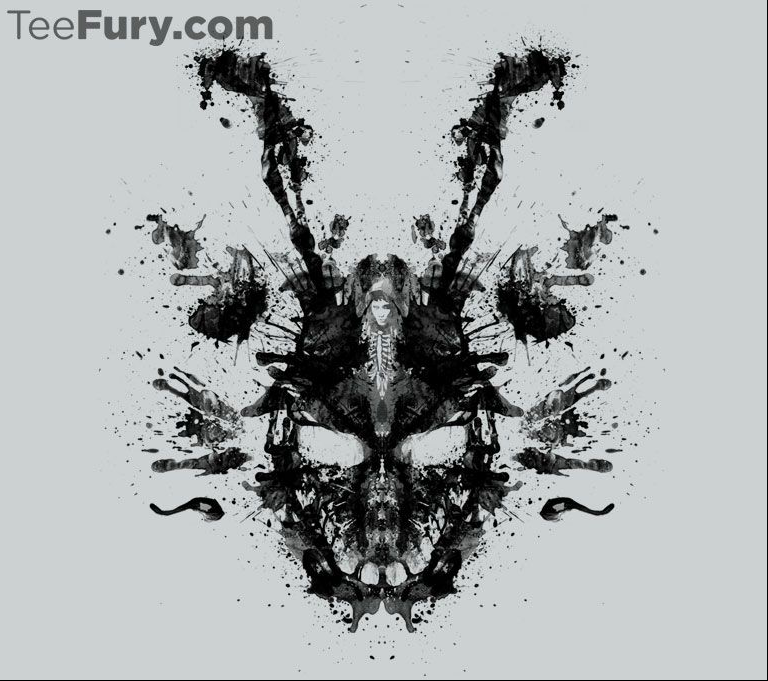 The Horror Honeys: TEEFURY: Limited Edition Horror Tees "Imaginary Inkblot" vs "Crime Scene"
TEEFURY: Limited Edition Horror Tees "Imaginary Inkblot" vs "Crime Scene"
TwoFury is upon us again, and this time, the decision is a hard one. "Imaginary Inkblot" may be the most gorgeous inkblot I've ever seen, and yes, I've looked at a lot of inkblots over the years...personal study...whaaaat. A beautiful rendering of Donnie in his Halloween costume, the endless waves of his time travel vortex, and of course...Frank. I dare you to focus on just one aspect of this piece at a time...it's hypnotic. 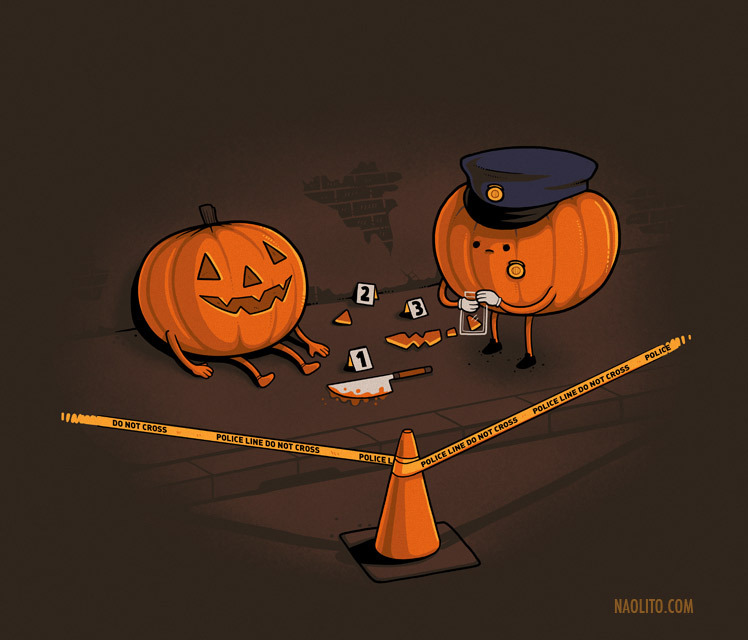 Put a little giggle into your Halloween with "Crime Scene," Halloween isn't just for spooky adults, I picked up one of these for my nephew because he wouldn't stop freaking out about how awesome it was. Well really, nothing says Halloween like pumpkin murder. Honey Approved! Vote for your favorite at www.teefury.com!